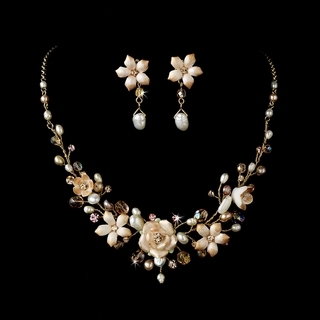 This stunning necklace and earrings set features pink porcelain flowers, sparkling dusty rose and pink rhinestones, and beautiful pink and cream freshwater pearls. 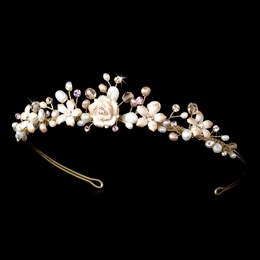 This set is the perfect accessory for a spring or summer wedding! Please Note: Gold-plated wire is shown in the pictures below, but we also offer this set with silver-plated wire. 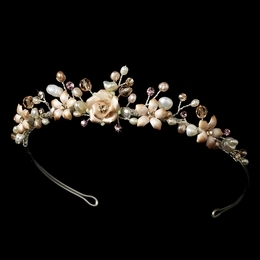 Please use the drop-down menu to select your color choice of gold or silver wire.